Are you excited to try some programming language but without installing a compiler on your computer? If yes, then you are lucky I have a solution for you. You can code online without installing a ton of compiler installed on your computer. As a developer, many time I face an unusual condition in which I need a specific compiler which is not installed on my computer or I don’t want to install it. If you felt the same way then if definitely need this solution. I researched all over the internet and found out many websites are providing the facility to compile and run programs of different languages like c, c++, c#, java, python, PHP, and much more directly on the internet. You can run programs directly through your browser, you don’t need any extra plugins. Some of those websites are offering their services in exchange for money, some are free. 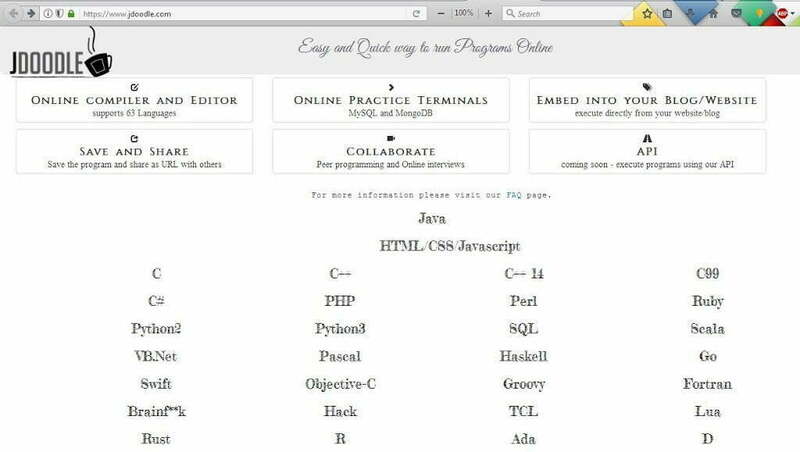 In this article, I am going to share 10 best websites which offer to code online. means you can compile and run programs online for free. Yes, those are totally free, even you don’t need an account to run your programs. All those 10 websites are listed below, visit them, use them and share your experience with me. 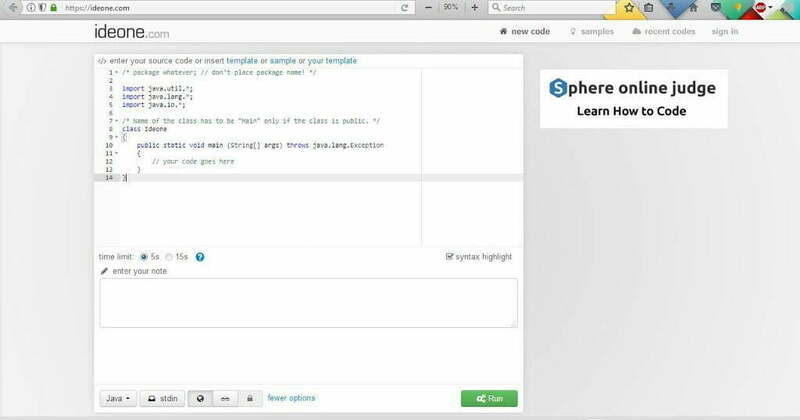 Codingground provided by tutorialspoint is one of the best online compilers are available nowadays and my favourite one. 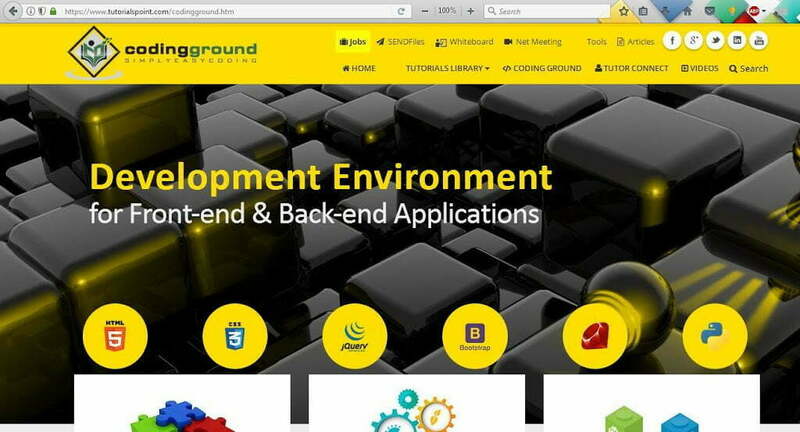 It provides many tools online for front-end and back-end applications. Codingground support almost all the popular programming languages including Java, JSP, Cold Fusion, C, C++, Pascal, Fortran, PHP, Perl, Ruby, Python and many more. Developers who want to test Unix commands or want to run Unix shell scripts, you should visit Coding ground. 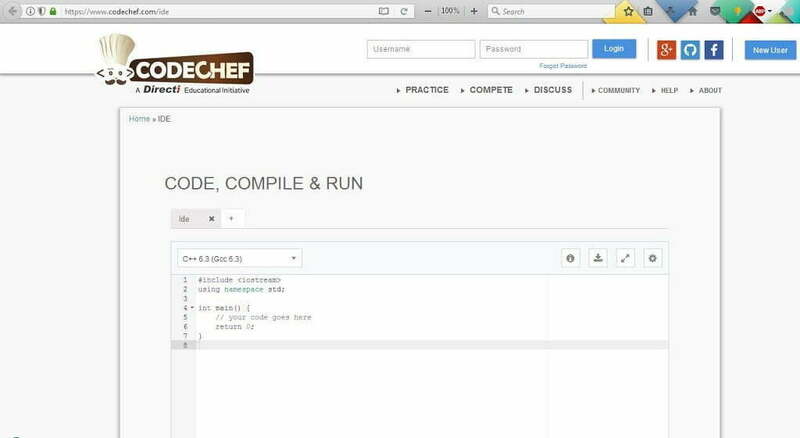 Codechef is a programming website which launches different types of programming contests.Codechef IDE is the other best option for programmers as it supports around 50 programming languages. After Google’s announcement of making Kotlin official language of Android, like many other online IDE Codechef now also supports Kotlin. If one interest to learn and play with kotlin it’s one of best places. If you don’t know about Google’s announcement, you can check it here. Like other online compiler and debugger tools, ideone.com offers you same thing to compile and run code online. 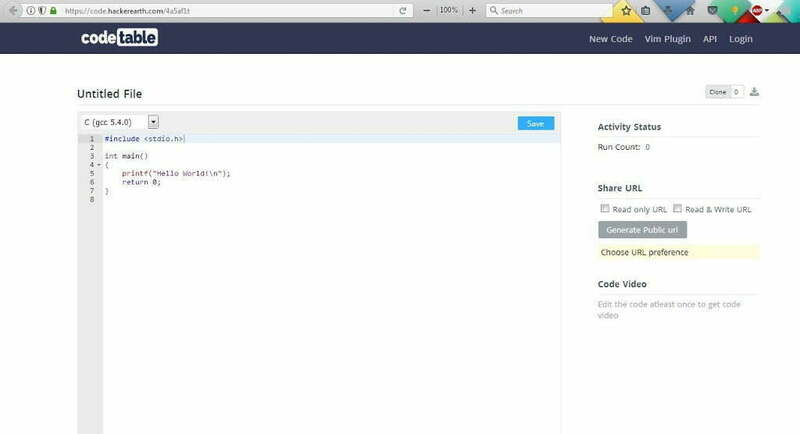 But the ideone.com also offers features like the time limit, enter note also you can share your code by sharing website link. When I tried ideone.com it supports around 40 programming languages including assemblers. In jdoodle, you can copy your code and can run it. It supports two major terminals online, MySQL and MongoDB along with 63 different programming languages. Here you can save you the programs and share as URL with others. Codepag has a very simple interface which basically is a pastebin that executes code for you. 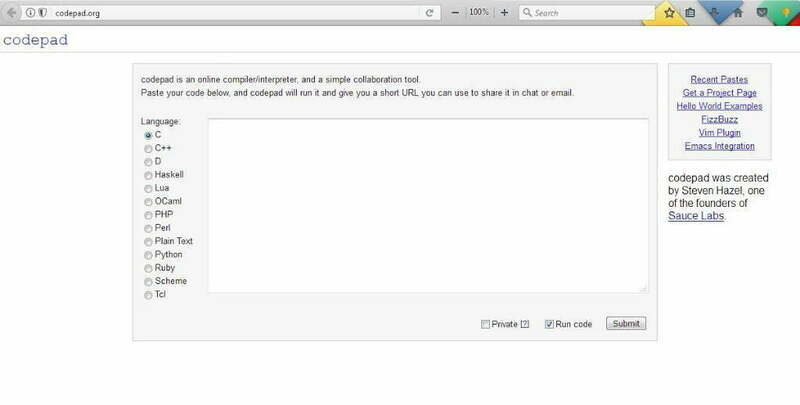 You can paste your code in codepad, and it will run your code and give you a short URL you can use to share it in chat or email. Codetable is another good compiler provided by Hacker earth which allows writing and running programs in different latest programming languages. This site does not provide a wide range of programming languages like others before. 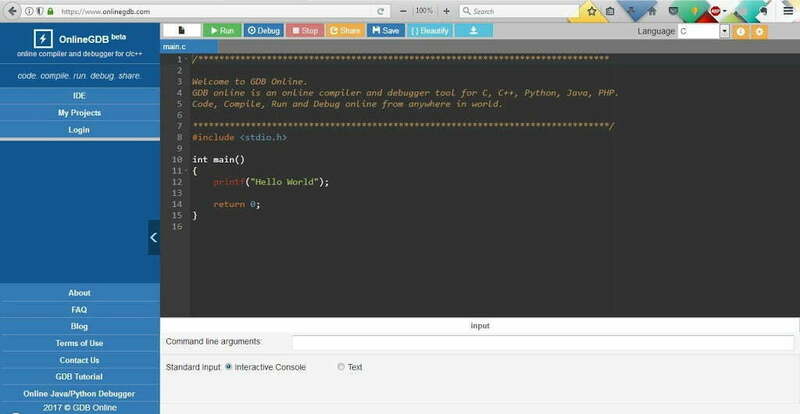 This offers 5 programming language choices along with a very friendly interface, here you can code, compile, run and debug online. onlineGDB offers c, c++, java, python, PHP. It’s not that famous compiler but it gives a feature which I use which is you can either compile your program in Windows or Linux. Here you can also drop questions if your code encounters an error. 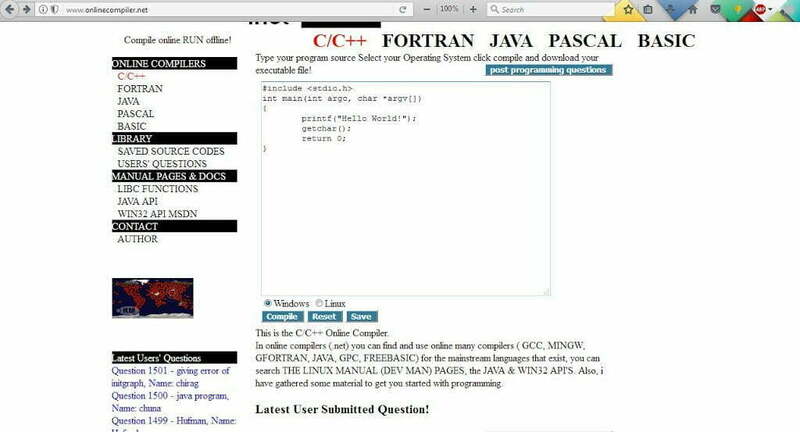 Onlinecompiler providing c, c++, Fortran, java, pascal, basic this 6 programming languages. In this, you can code and run different types of programming languages from ada to Visual Basic. Rextester supports around 34 programming languages. Here you can also check previously run codes on Rextester in code wall. 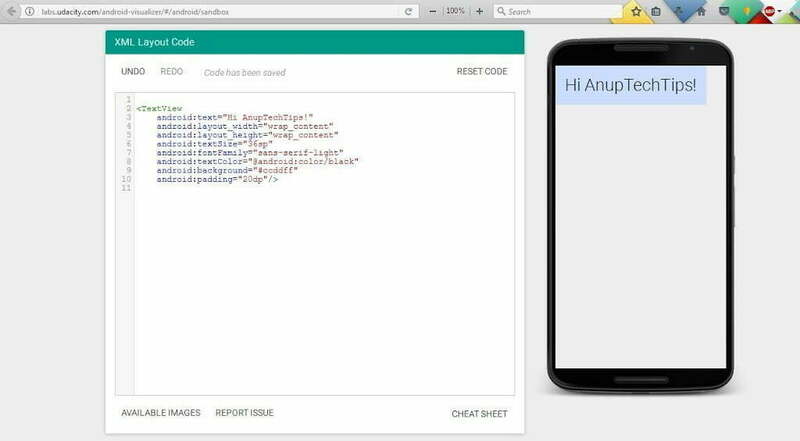 After a ton of searching here and there, I came to know that we can design Android XML layout online. Here, you can design layout as you do in the android studio. Now it does not support layouts but it’s improving fast. If you need more information about the view, they are also providing a cheat sheet. You can use it as an online android developer console. 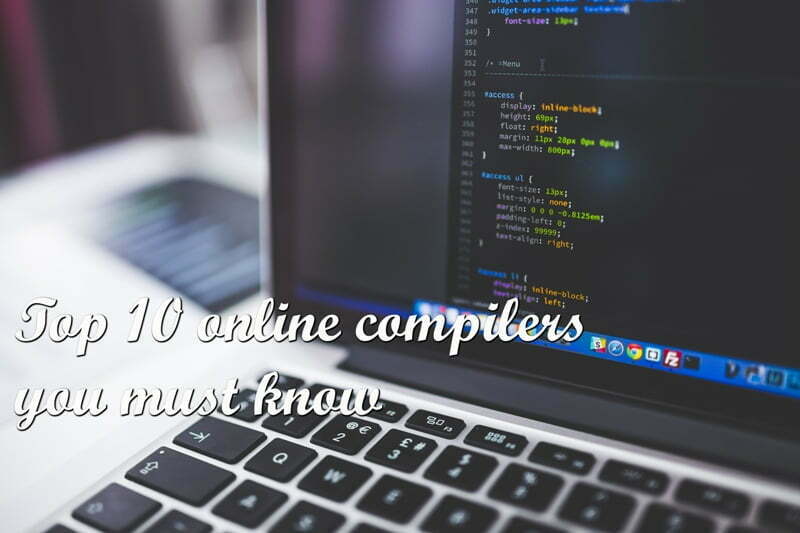 Comment below If you have any questions or if you know any other good compilers available online.